Do you know anyone who is career oriented, yet also gullible and docile enough to become Moldova’s next prime minister? I am not sure I do, but I suspect there are plenty. The bigger question being, does Moldova need such a premier or has it had enough… In a brief but already tumultuous independent political history, Moldova has had eleven prime ministers and three interim prime ministers. In fact, incumbent Natalia Gherman already broke the record for the longest-serving acting prime minister who never got the Parliament’s blessing. Serafim Urechean and Vitalie Pirlog severed 14 and 11 days respectively. Gherman passed the three weeks benchmark and is likely to at least make it to a full month. She publicly denied carrying any ambition to be appointed PM, opting for the MFAEI instead. Who can blame her? One reason for Gherman’s reluctance could be that, for better or worse, all of Moldova’s prime ministers have had one thing in common – very little real power. Up to 2009, most of political power resided with the president or better say his close advisers – grey eminences. 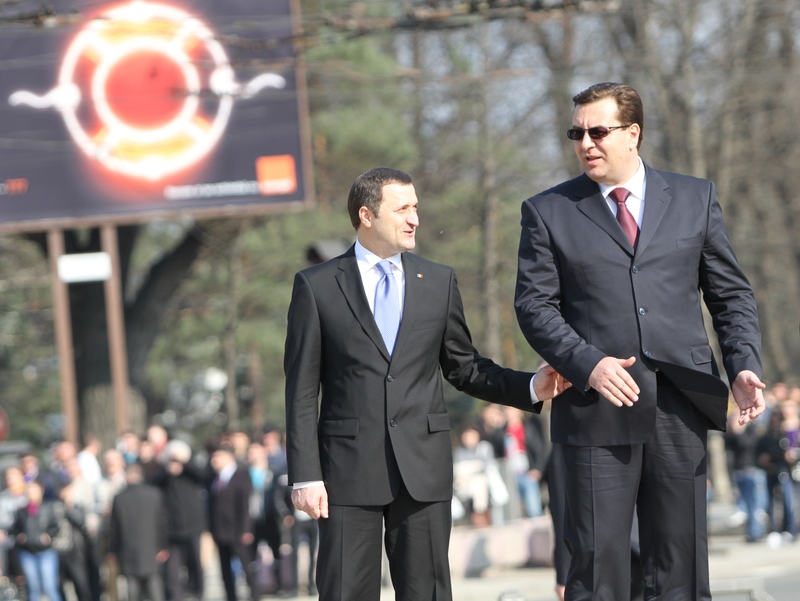 As the Alliance for European Integration came to power in September 2009, the role of Moldova’s PM grew exponentially. The country’s political system started to reflect better what it actually was – a parliamentary republic. But this experiment ended abruptly on February 13, 2013 when Filat withdrew from the ruling coalition agreement. In response, three weeks later he got censured by Parliament on allegations of corruption, abuse of power and influence peddling, which made him unfit for the highest executive office, according to the Constitutional Court ruling of April 22, 2013. Curiously, the main architect of that ruling, Court Chairman Alexandru Tanase, apparently changed his mind, now saying that Filat can become PM again. Bearing all that in mind, who should become Moldova’s next prime minister? Well, the answer is actually relatively simple – just do the math. Since the number of seats of all four potential coalition partners is relatively close, except for the liberals, any headliner from these parties could get the nod. Let us review potential candidates from these four parties. Liberals are the least likely to seek/get the spot because Ghimpu wants to be President and Chirtoaca cannot leave the mayor’s office he had just won. Communists are also unlikely to get the position even though they have suggested that their mayoral candidate Vasili Chirtoaca would be a good candidate. It leaves us with the Democrats and the Lib-Dems. Just like Ghimpu, Lupu could score a hat-trick by holding all three main offices in the country. Yet, Lupu, just like Ghimpu, would most likely prefer the Presidential seat. Thus, Plahotniuc would be PD’s strongest contender, and his protégé, incumbent Speaker Candu, a close second. Yet, if we agree that holding real power is a prerequisite for a better than average governance process, then Plahotniuc is the obvious choice for the Democrats. Lately, PLDM has floated around the names of three highly deserving contenders: Valeriu Strelet, Maia Sandu and Stela Mocan. Even though all three candidates could potentially stand a chance, this looks more like a PR stunt on PLDM’s behalf. The party’s only real candidate remains Filat. Furthermore, as PLDM and PD presumably agreed to simply add either liberals or communists to their current power sharing agreement, thus, Filat is a front-runner for the prime minister’s office. Yet, if that agreement were to be reviewed then Candu becomes a real contender, because Plahotniuc feels more comfortable doing what he does best – pulling the strings. 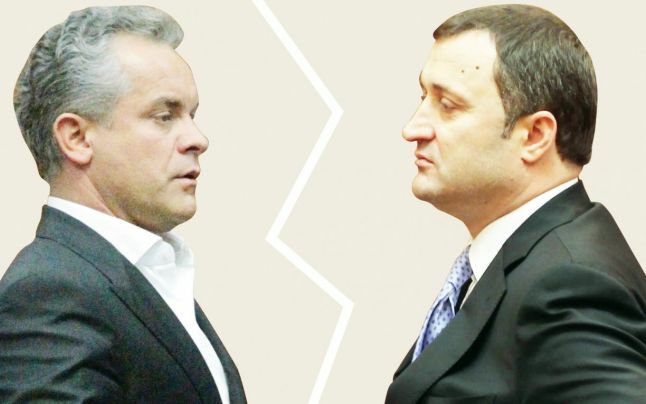 Instead of using proxies like Leanca and Gaburici, Filat and Plahotniuc need to engage in real competition so that Moldova stands a chance to overcome its current troubles, ironically largely a result of this very rivalry. Odd as it may sound, these two political leaders remain the most powerful decision makers in the country, backed by two strong parties. It actually hurts admitting that Filat and Plahotniuc are Moldova’s only option at the moment, but democracy is a work in progress. If the last 20 years of Moldovan political history is any indication, next Parliamentary election will bring a considerable reshuffle of the national political elite. Maybe then will Moldova finally get a true kamikaze prime minister who would do the right thing despite political expediency. Meanwhile Filat and Plahotniuc should have the decency to hold the country in one piece. Can they make this sacrifice or is it too much to ask? This entry was posted in Moldova, New Goverment, PCRM, PD, PL, PLDM and tagged Andrian Candu, Marian Lupu, Mihai Ghimpu, Moldovan politics, Natalia Gherman, Vlad Filat, Vlad Plahotniuc. Bookmark the permalink.